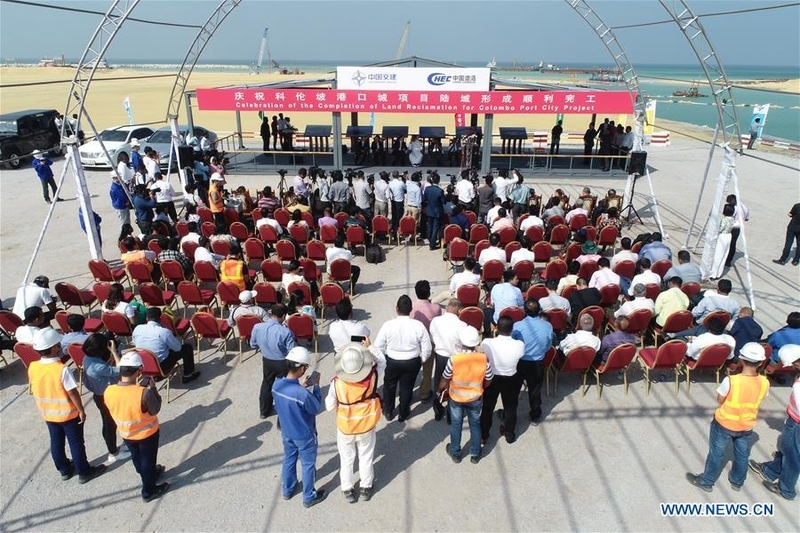 A China-funded port city being constructed in Sri Lanka's capital Colombo has completed the reclamation of land from the sea and will soon be ready for the second phase, China's CHEC Port City Colombo (Pvt) Ltd. said on Wednesday. The mega 1.4-billion-U.S. dollar Colombo Port City project is co-developed by the Sri Lankan government and China's CHEC Port City Colombo (Pvt) Ltd under the Belt and Road Initiative. 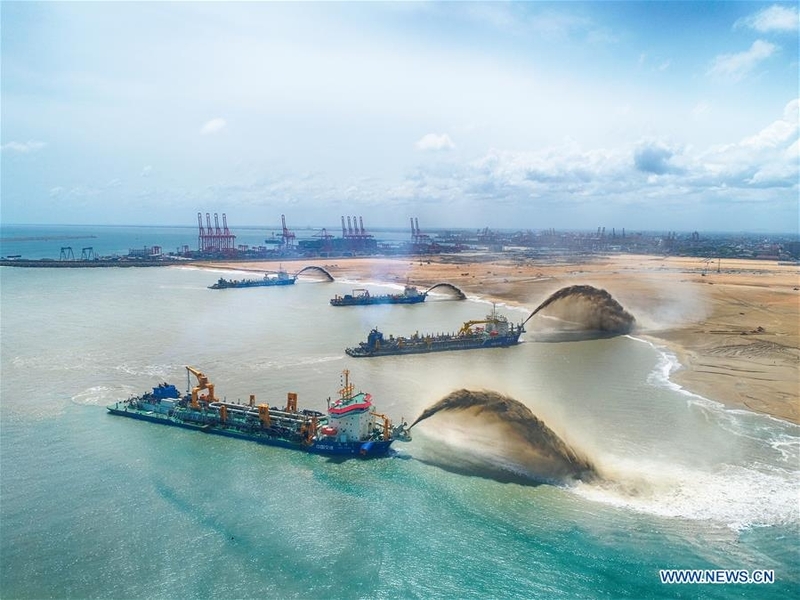 In a ceremony held at the Colombo Port City, officials said the project had marked a milestone with the completion of land reclamation and the last of the four state-of-the-art dredgers used for the sand mining operation had left the project site. Minister of Megapolis and Western Development Patali Champika Ranawaka said the Colombo Port City was part of China's Belt and Road Initiative, which was pushing Sri Lanka's economic outlook in an entire new direction. Chinses Ambassador Cheng Xueyuan said that to date, the Colombo Port City had created more than 4,000 jobs for the local people, benefiting thousands of Sri Lankan families. At the same time, the Fisherman Livelihood Improvement Program implemented by the project company had benefited tens of thousands of fishermen and their families. "Today, 269 hectares of land has been completely formed, ahead of schedule. This symbolizes that the friendship between China and Sri Lanka runs a long history and is worth more than the value of the investment," the ambassador said.